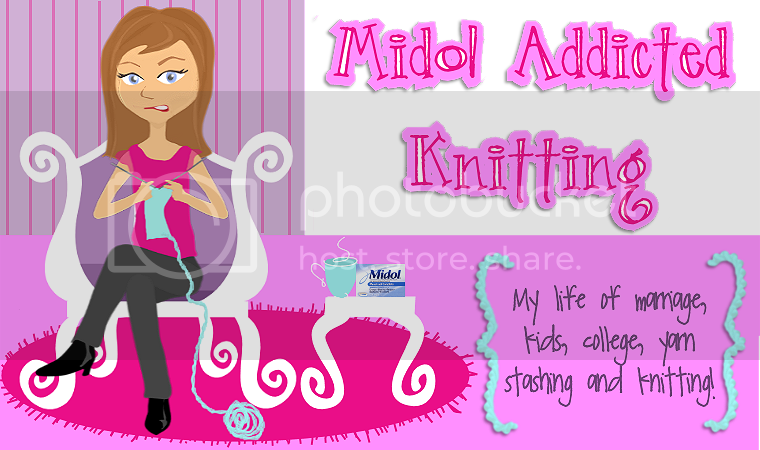 Midol Addicted Knitting...: Tea, anyone? Phil and I have decided that all our late night coffee drinking isn't doing much for us when it comes to getting to sleep. It used to be, that we'd be able to drink coffee right up until we went to bed. That doesn't seem to be working anymore. No worries, we thought. We can drink tea at night. Except, we don't own a tea kettle. Sure, I have a teapot. But it's not really the sort of teapot that's suitable for actual use. It's more of a collect and look at kind of a teapot. 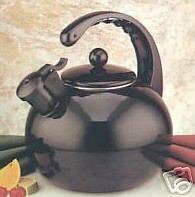 My big plan has always been to someday collect teapots, but today, I just want something that I can use. Off to Ebay I went. I really didn't know what I was looking for. Except it had to have a whistle, it had to be simple, without foofooey flowers or landscapes on it, and it had to be less than $20. All I can say is holy crap at the kind of things that are available for tea lovers, and an even bigger holy crap at the prices some of those things go for. You have infusers (wtf), kettles shaped like trains, kettles that have a rocket on the spout that shoots out when the water is done ($249 for that bad boy?) kettles that have harmonica whistles, Garfield kettles...you name it, they have it. Finally, I found one that didn't glow in the dark or do your laundry for you. It's simple, it's black, it has a whistle, and it does what I need it to do. Boil my fuggin water. And it was cheap. Sebastian has a weird week coming up. He has a full day today, and half days from Tuesday through Thursday because of teacher-parent conferences. Phil and I have our conference tomorrow night. Then Thursday I have to be down at the school to help Sebastian pick out some books at their book fair. To top it off, I think there's a family fun night down there on Thursday, too. I just can't keep track of it all. Then next week, he has Thursday-Friday off for Thanksgiving. I can't believe Thanksgiving is here already. Where the hell has this year gone? 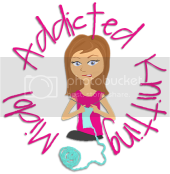 I have a lot to do around the house, and I've been bad and putting it off. I'm thinking we're going to have a pretty rotten winter this year, so I'm going to go through and seal off the windows with that insulated plastic crap. I hate the stuff, but I have to say...it does work. Anything it saves us on heating costs this winter is worth looking at for a few months. Our lovely macaw managed to chew through the thinga-majiggie that holds his food dish in place in his cage. I walked by him this morning as I was taking Seb to the bus stop and all I could think of on the way to the bus was that something just didn't look right in his cage. I got home, opened the door to let him out for his perch, and noticed the food dish laying on the bottom of his cage. I picked it up and turned to him and said "What did you do?" He waddled over to me, put his beak against my nose, looked me square in the eye and yelled "GO TO YOUR ROOM!!!" I almost peed myself from laughing. First grade sing along pictures!! First grade Thanksgiving Sing Along! !